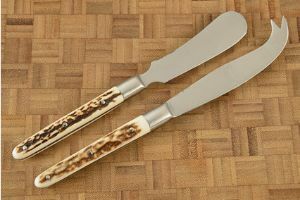 This beautiful cheese knife set is expertly crafted. 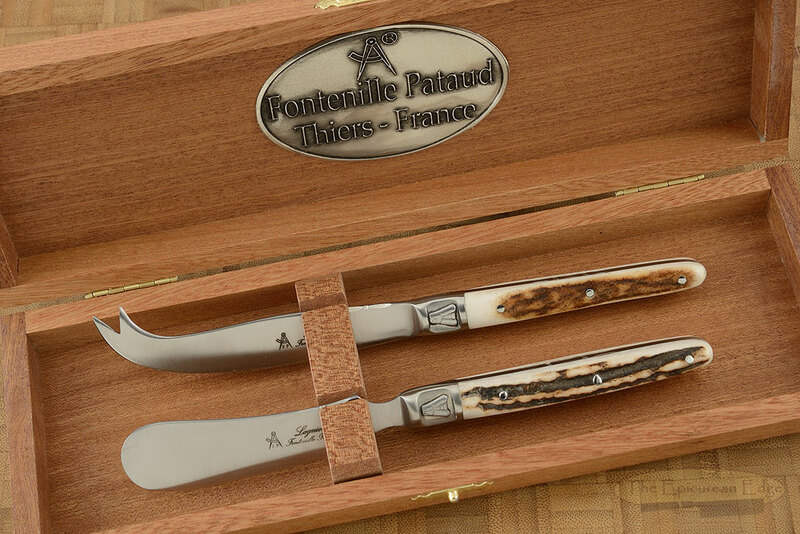 The blades are forged and hand finished from a single piece of Z40C13 stainless steel, the customary Laguiole bee set proudly on the bolster. The top of the knife, including the tang and part of the spine, are hand chased with a file in a pattern unique to the knife. 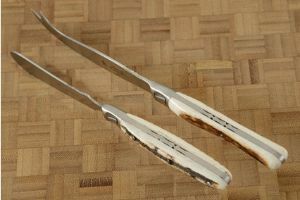 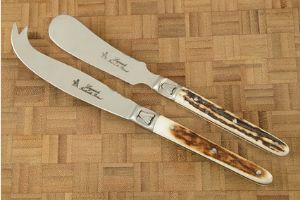 Hand picked natural stag scales are secured to the tang with stainless steel pins.